Dr. Tom does many things to help patients succeed. We’ve found that autistic and neurologically impaired children respond very positively to having the dog in the office, and she responds well to them. Chiropractic care, along with changes in diet, has been shown to help kids with neurological disorders remain more balanced without the use of drugs. 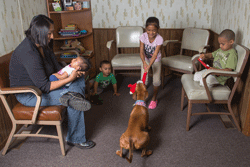 The addition of informal animal therapy in our office is one more way we’re working to increase that benefit to them. 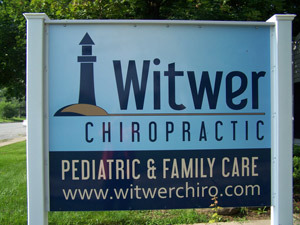 At Witwer Chiropractic, chiropractic care is focused on wellness. Give us a call at (937) 498-0076 to learn more.